EDIT: The unanimity of the early Church Fathers is something that is often presented as an indisputable fact. However, while they were all in agreement about some major points of faith, there might have been some disagreements on some minor things. This question is about that. EDIT: As for the definition of "Church Father", I just follow Wikipedia's list. One of the most striking disagreements in the early church and even today was on the question of the virginity of Mary at Christ's birth and thereafter. In the early church and even still today, we all agree that a virgin conceived and carried to term Christ. The disagreement was on what happened next at His birth. This disagreement subsequently also factored into the question of the relationship of the brothers of Jesus; were they also born from Mary or from elsewhere? We won't go into that issue, but will focus on the birth of Christ. There are two diametrically opposed views. To understand the conflict in the very early church, we will start with John of Damacus who wrote something remarkable around 725. John tells us of the belief in a "normal" birth through the "south gate". Apparently he believes that, but has no way to explain it. He also references the belief Christ was born out the "east gate"; that is, from Mary's side. He even gives credence to this belief as "not impossible". [added editions are in brackets] [OTOH, John may be referencing again the "south gate"; that it wasn't impossible to remain intact (somehow).] So to where does this idea arise [of a "normal" birth but with gate(s) regardless of south or east remaining intact]? The idea sources to the infancy gospel of James wherein it is said that Mary remained a virgin even in the act of giving birth. This means one of two things. Neither are good. One she retained all of the afterbirth (placenta, blood, umbilical cord, etc). Two she was never really pregnant with Christ. This group was lead by Origen, Valentinus, and others. As mentioned, this idea stays alive all the way to John of Damascus still commenting on the idea that Christ was born from Mary's side (east gate). Moreover we find the idea in the Trullo Council 692 in Constantinople defining no afterbirth at Christ's birth in Canon LXXIX. No childbed or birth flux, which means no afterbirth, umbilical cord, blood, placenta or all the normal things from a normal human birth. That was what was denied according to this view. Here again is the source of this idea. And the midwife went forth out of the cave, and Salome met her. And she said to her: Salome, Salome, I have a strange sight to relate to thee: a virgin has brought forth -- a thing which her nature admits not of. Why? Her nature of being pregnant would be to bring forth a newborn, but also the rest of what it means to be pregnant. Valentinus put it this way. Marcion, quoted from Tertullian, put it this way, denying the afterbirth, the normal birth in the normal human way. Ouch. Tertullian draws a line in the sand here between believing as the Church does in a normal human birth versus the "not normal". Unfortunately again, this idea nonetheless remained within and found its way some 550 years later in the aforementioned Council Canon. On the other hand you have those in the church who agreed that Christ was born normally in the normal way. This meant exactly what it means (virginity, defined as intactness, was ended). This group was lead by Tertullian, Clement of Alexandria, Cyril of Jerusalem, and others. I've already shown Tertullian commenting on the false idea of ever-virgin due to the idea of Mary retaining the after-birth or not even having any. Here is Clement of Alexandria who wrote about 200 also coming against that idea. He also mentions the source (Infancy Gospel of James). That is to say they taught that Mary because of Jesus' birth remained in the childbirth state, remained a virgin after she brought forth, but Clement disagrees with them. The context of Clement's quote is found in the first sentence and provides more clarity. Again his conclusion is not that Mary remained in the birth state as a perpetual virgin, but rather that scripture remained virginal. Cyril of Jerusalem wrote about 350 and lays out the same argument that the only way Christ took flesh was to be born normally of the virgin. Note his insistence against the heretics on when that ended because Christ was both Son of God and Son of Man. Let me men glory because of Christ's virginity. Let the women glory for the Virgin Mary's 9 months. 9 months, not her whole life because to do so was to support the heretical idea that Christ took nothing from the Virgin and merely passed through her. It may seem strange to our ears to hear this conflict in the words of those from some 2,000 years ago as they argued about the nature of Christ. After all, most Christians would agree He is Son of God and Son of Man; they just aren't sure how. Still that was the context of the argument about the nature of His birth and thus His nature. Did He just pass through Mary or was He born normally? Was there just an appearing or was the birth human complete with umbilical cord, blood, and placenta? On the one side were those like Valentinus, Marcion, and Origen who believed and taught that Jesus took nothing from Mary and merely passed through her. They taught there was no normal birth, but rather that Christ just apppeared at her side. She remained in the childbirth state as a virgin. On the other side were men like Tertullian, Clement of Alexandria, and Cyril of Alexandria who taught that Christ was born normally. Let the virgins glory in Mary's nine months. Because you did not write if you use the Catholic, the Orthodox or the Protestant definition of the term, I referred to the Catholic one. but it is impossible that the theologians accepted as Church Fathers by the Catholic Church show what most people would call a "striking disagreement". Again according to the German Wikipedia the Catholic Church used four different criteria to decide whether to call some theologian a "Church Father" or not. One of these four criteria is "orthodoxa doctrina" which (still according to the German Wikipedia) means that a theologian showing major deviations to the Catholic teaching (at the time when the title was awarded) could not be called "Church Father". This however means that a theologian who showed "striking disagreements" (as you call it) to the other theologians accepted by the Catholic Church (such as the ones that have been titled "Church Father") did not meet this criterion and therefore was not awarded the title "Church Father". The unanimity of the early Church Fathers is often presented as an indisputable fact. Of course it must be a fact because the title "Church Father" simply was not awarded to theologians who had major disagreements to the Church Fathers because in this case the criterion "orthodoxa doctrina" was not met! The fact that all the Church Fathers have the same opinion in a certain question means that there was no disagreement about that question in the early Church. Of course there were a lot of "striking disagreements" in the early Church. And maybe there were even a few questions where the position of the Church Fathers only represented the minority of the Christians of their time. In such a case the theologians representing the majority of the Christians could not be awarded the title "Church Father" (in later times) because the criterion "orthodoxa doctrina" was not met. Not the answer you're looking for? 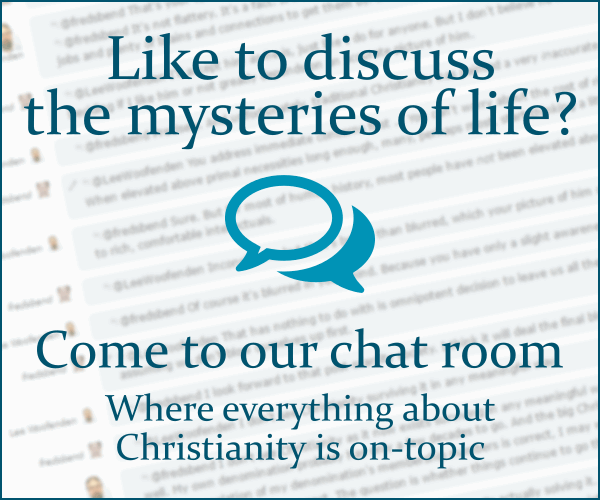 Browse other questions tagged church-fathers or ask your own question.